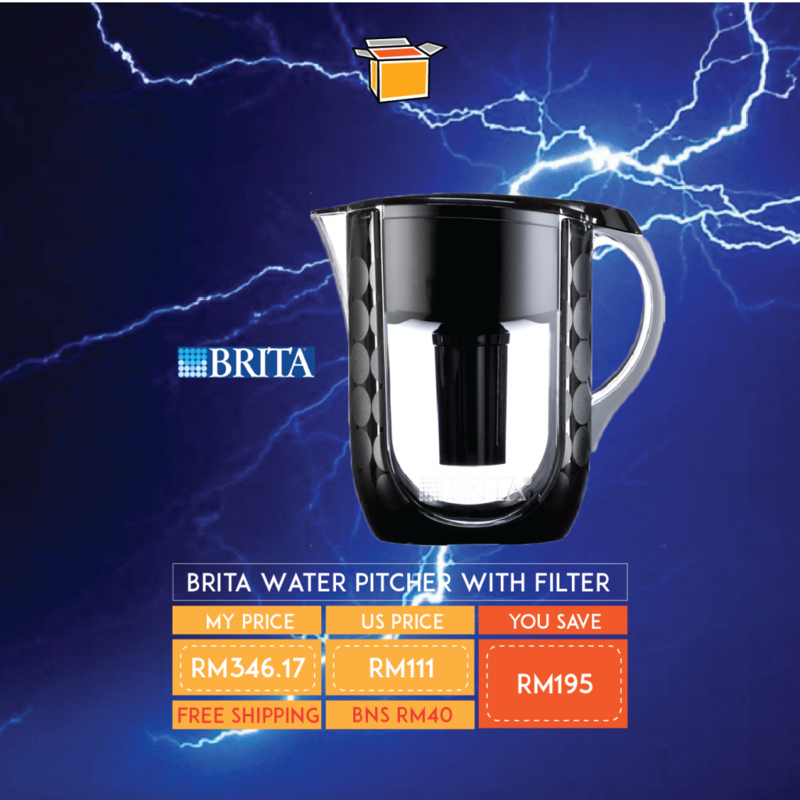 Brita is one of the most trusted brands in water filtration system. Unlike other brands where you will be required to install some contraption to your water source, Brita allows for you to just put water into a jug that will filter out chlorine taste and odor, copper, mercury, and cadmium impurities found in tap water, making it safe to consume. With filter lasting of upto 40 gallons, this is a great addition to any family households. Sign up with us to take advantage of this deal – get it sent to our US warehouse!